Webster University senior music education major Cameron White has been selected as the recipient of the Tresa Jo Wilson Memorial Scholarship. 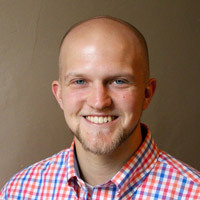 “Cameron’s award from the Missouri Choral Directors Association comes on the heels of Connor Scott’s (BMED ’16) first place win in the Southwestern Division ACDA student conducting competition last March," said Trent Patterson, director of Webster's Choral Studies and Music Education. "These student successes truly demonstrate the growing reputation and quality of our Choral and Music Education programs." Choral Music Education juniors and seniors from across the state of Missouri apply for the Tresa Jo Wilson Memorial Scholarship each year. Only one student receives the highly competitive scholarship each summer. Wilson was a St. Louis-area choral music educator. During her 37-year career, she taught music students from kindergarten to university level in Indiana and Missouri. Her students learned a love of music through dedication and expression. The $1,500 scholarship endeavors to continue her influence on music education by supporting current students in their junior or senior year who are seeking that career path. Learn more about the Department of Music, part of the Leigh Gerdine College of Fine Arts at Webster University, at webster.edu/music. Learn about the Bachelor of Music Education here.